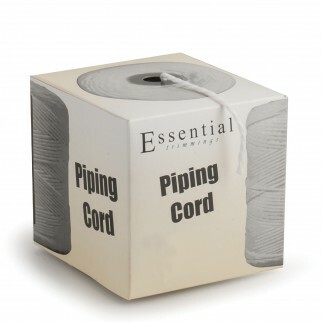 Pre shrunk, cotton piping cord, manufactured in the UK and available in 6 sizes. Piping cord is multiple strands of cord twisted together. It has many applications, such as providing a core for covered edging on cushions and bolsters, tie backs, pelmets and other furnishings.